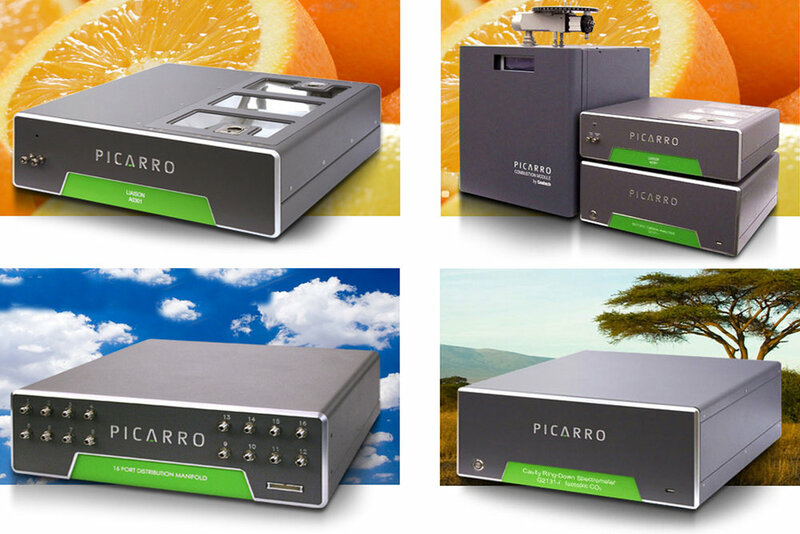 RSiD studio helped Picarro create a brand identity and establish the company as a world leader in scientific gas analyzers. Through industrial design we streamlined the process and created a family of products that work together in a multitude of combinations. Giving Picarro a unique advantage in the market. In California, PG&E now uses the Picarro Surveyor to quickly identify gas leaks while driving though neighborhoods. The precise and easy to use instruments are deployed offering unmatched performance in a variety of weather and terrain conditions, all while driving with no need to get out of the vehicle. Hazardous leaks can be quickly identified, while virtually eliminating false positives. The leak’s can be identified as bio-methane or natural gas within minutes.